The gloomy skies are back in London. So a little reminder of the loveliness of rain! This I took from outside my back door. 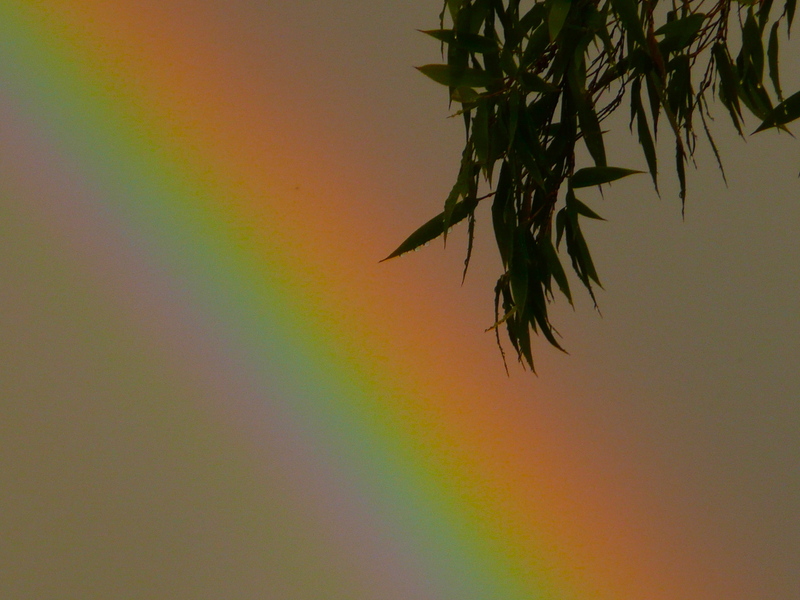 Rainbows are just such magical things, always make me feel hopeful. I never am able to walk on by when there is one in the sky. There is something about having all the colours in the spectrum, of the world together which is just breathtaking. Found a nice website that explains all the different types of rainbow there are. One more thing today. 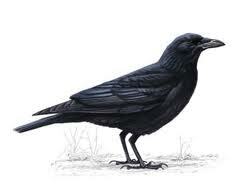 The last 2 weeks, I seem to be hanging out with a carrion crow . It has taken to sitting just above my computer on the little 3ft roof extension. It is banging and squawking a lot, I thought we had phantom builders! It seems to have found something in the gutter it quite likes. I thought there might be a wasps nest, but have not quite summon the courage to get a ladder out and have a look. I don’t know if they like wasps?